BEIJING (May 15, 2017) – While the central government shut down factories and decorated highways to prepare for the Belt and Road Forum, researchers at Global Environmental Institute (GEI) pulled back the curtain on some of the activity and that was on the Forum’s Agenda, coal-fired power projects. 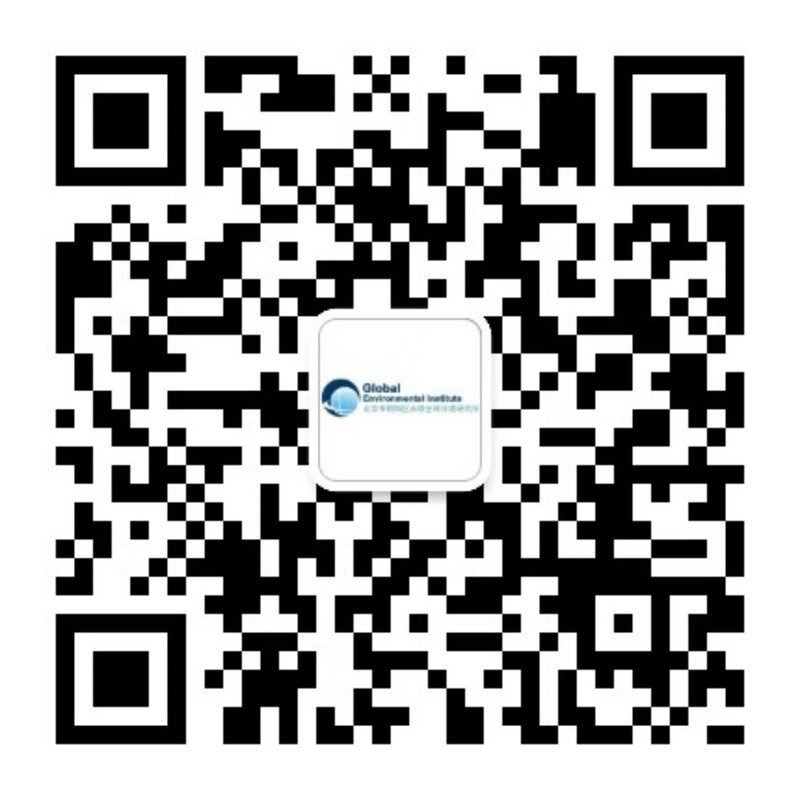 On Friday, May 12, the GEI Overseas Investment, Trade and the Environment program released a short yet data-heavy report on trends of Chinese firms as the financier, contractor and/or constructor of coal-fired power projects along the OBOR development path. 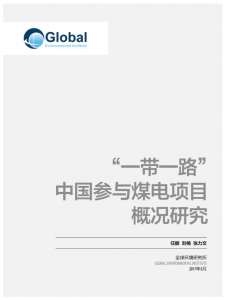 The report was prepared published by GEI, and prepared by GEI Program Manager REN Peng, with GEI interns, Liu Chang and Zhang Liwen. China Dialogue and Caixin helped to network the findings throughout the media. Demonstrating the positive contribution of Chinese NGOs to the country’s overseas activities, the report clearly explains the trends in investment periods, main factors in contracting projects and choice in construction location. The findings raise questions about China’s and the OBOR region’s commitment to low-carbon development and bring the topic of environmental sustainability to the forefront. 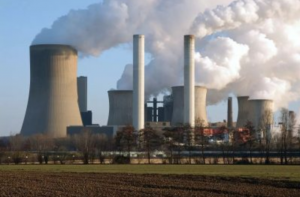 While many of the projects are currently under development and concentrated in India and Southeast Asia, the overall trend of Chinese involvement in coal-fired power projects has mirrored or at least been affected by global economic shifts, policies of host countries and interest in cleaner energy. In 2016, Chinese involvement has started to slow again, a decrease likely due to the COP21 Paris Climate Agreement and move toward cleaner energy. 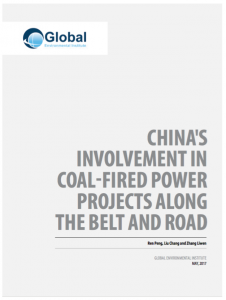 Most of Chinese involvement in coal-fired power projects along the Belt and Road is as the project contractor. China’s five major state-owned enterprises (SOEs) are involved in 2/3 of all the projects and they win the contracting bids largely because their bid has a relatively lower budget and shorter construction time. As the project contractor, the Chinese firm has no stake in project profits and limited influence in the project’s operation and management. In many cases, Chinese SOE’s key performance evaluation is based on number of projects obtained and expansion to global project market, so the role of contractor is most suitable. Written in Chinese and English, organized an easy-to-read format, backed by research and including many graphs that visualize the information, the report epitomizes the positive role Chinese NGOs can play in the development sector. Specifically, as a third-party with access to companies, institutes, government data domestically and abroad, NGOs provide non-partisan and reliable insight that support the efforts to realize a sustainable Belt and Road. GEI has been active in promoting Chinese NGO’s role in China’s overseas investments and environmental activity for many years, including participating in UNFCCC’s COP meetings, G20 & C20, and China-US, China-Myanmar and China-Africa platforms for stakeholder and multilateral discussion. along the Belt and Road. Please read the report here!